Portfolio management is simplified now by new online tool introduced by Economic Times; This tool is called as ETPORTFOLIO. This tool provides facility to manage & track your investment portfolio online. You can simply go to ETPORTFOLIO site and login using existing google or facebook account or you can create new account for portfolio management. Not only that you can refer to your friend and win iPhone 5S. 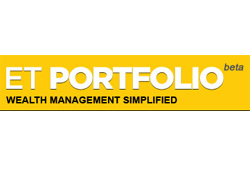 Once you login in to etportfolio you will able to create and manage multiple portfolios. This tool gives facility to manage stocks, mutual funds, ETF, fixed income and other assets at single place. We are herewith step by step process how to use this tool. On left navigation nearby stocks tab click on Add and you will be asked about Stock name, date of purchase, Quantity and price. Continue adding all your stocks in this tab. Once you are done it is will display current value of stocks. Click on add beside MFs and it will prompt you about mutual fund house category and scheme. You will get all options like SIP, SWP, STP & Switch. Once you complete adding your mutual funds details it will give your current mutual fund holding. 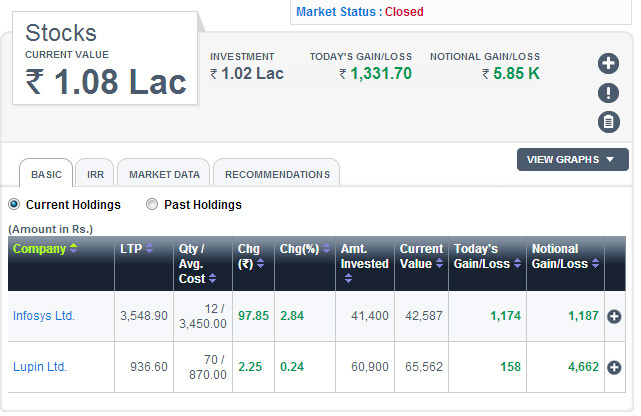 To add ETF details click on Add and give information about scheme name, date, exchange details, quantity and price. 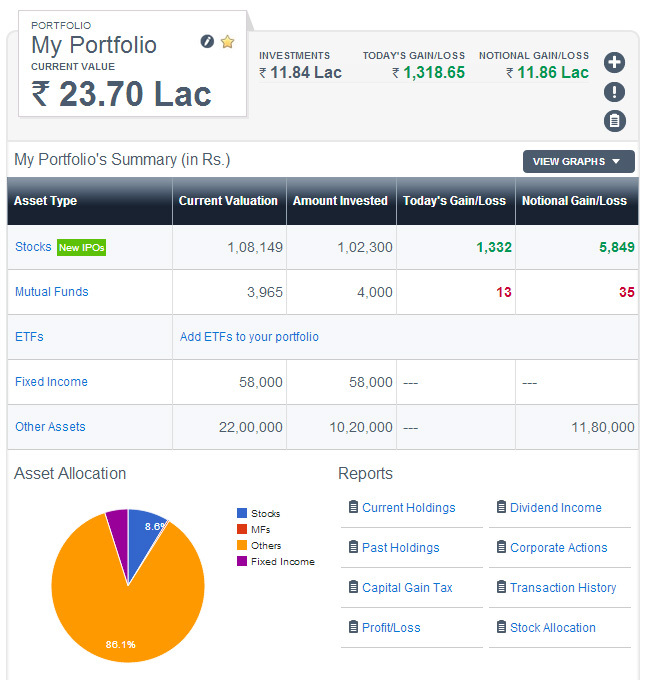 ETPORTFOLIO allows you to add fixed income investment instrument also. You can add Fixed deposit, KVP,NSC, Recurring deposit, PPF, Post office saving scheme, RBI & corporate bond & Corporate fixed deposit. Do share your views on comment section given below.